Libraries are beautiful because they are places of culture and knowledge, but they can also be incredible architectural gems. 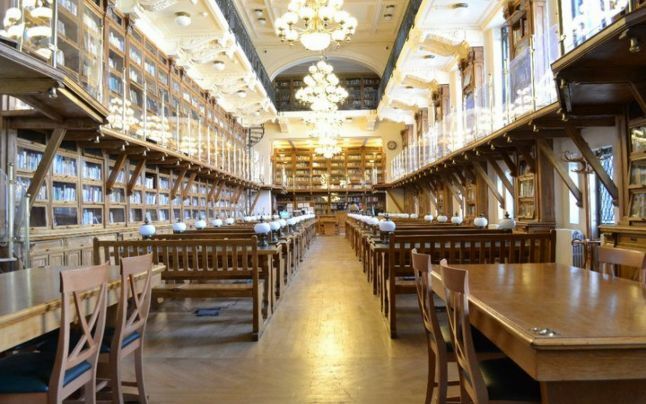 There are some famously beautiful libraries in the world, like the National Library in Prague or the Royal Portuguese Library in Rio de Janeiro. But there are a few smaller and less famous ones that are perhaps as yet, undiscovered beauties. One such library has been receiving a lot of attention recently because of popularization by website boredpanda.com. The Gheorghe Asachi University Library in Iași was voted the second most beautiful library in the world, which came as a bit of a surprise, as very few people were even aware of its existence. 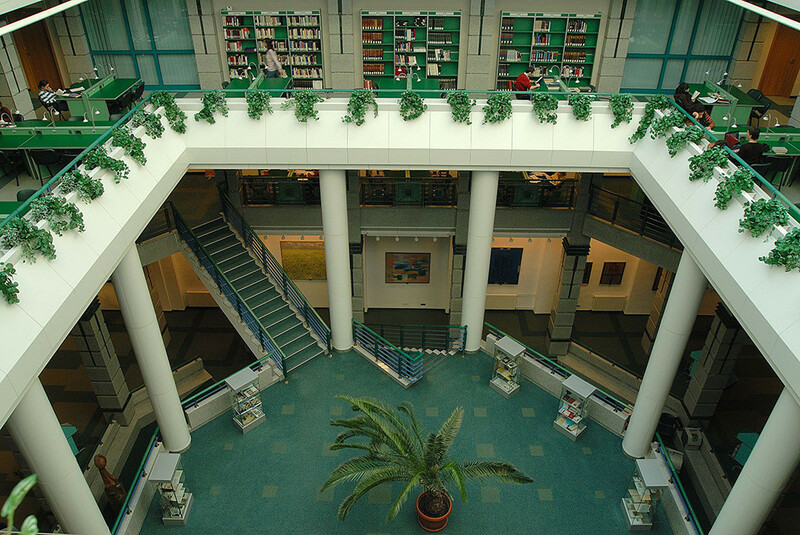 The Gheorghe Asachi University Library is very well resourced, containing approximately 1 million titles. It functions inside the University Palace in Iași, located in Copou neighbourhood. The building was erected in 1860 at the initiative of Alexandru Ioan Cuza and was designed by French architect Louis Blanc. It contains elements of the architectural European style of that time and of French academicism. A second beautiful library is the Library of the Faculty of Letters in Bucharest. It was founded in 1892 and was the first specialized library of the Faculty of Letters and Philosophy. The institution was moved to its current location, at Edgar Quinet Street, in 1927. It contains 100.000 titles, among which, books donated by important figures of the Romanian culture: Titu Maiorescu, Ioan Bogdan, Ovid Densuşianu, Al. Rosetti, Iorgu Iordan. There are also many Romanian and foreign periodicals, like Columna lui Traian, Convorbiri Literare, Dacia Literara, Euphorion, Lettre internationale, Lingua nostra, Poetics Today, Comparative Literature etc. 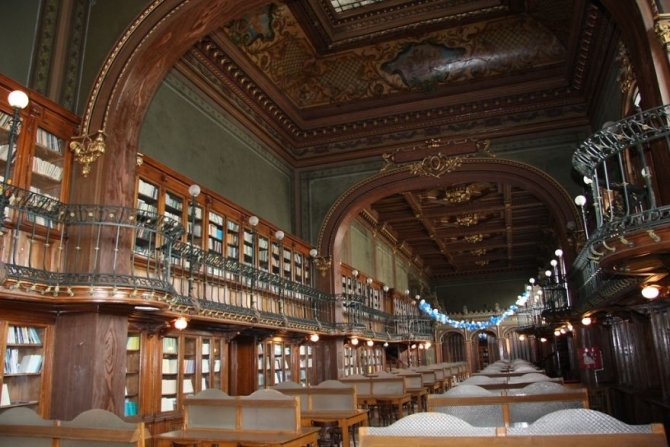 A third library worth mentioning is the Central University Library in Bucharest. It was created at the request of King Charles I of Romania, who, in 1891, expressed his desire for a library that would support the elites of the country and would be open all the time. It was designed by French architect Paul Gottereau and took 2 years to be built. In 1893, it was finished, but it would be another two years before it would open its doors to the public, during which time it was equipped and furnished. Ever since it came into being, it has been a pillar of academia in Romania. “Biblioteca Facultății de Litere”, Facultatea de Litere. Universitatea din București, Available at: litere.ro/biblioteca/prezentare.html, Accessed: 08.23.2015. “Istoric”, Biblioteca Centrală Universitară Carol I, Available at: http://www.bcub.ro/home/istoric, Accessed: 08.23.2015. Andronescu, Monica, “Cele mai frumoase biblioteci din România”, Adevărul, April 1st 2015, Available at: adevarul.ro/cultura/arte/cele-mai-frumoase-bibliotecidin-romania-1_551bf59a448e03c0fd1e3559/index.html, Accessed: 08.22.2015.